We hope to see as many pals as we can before the big move, so do come out and tell your friends to join us! 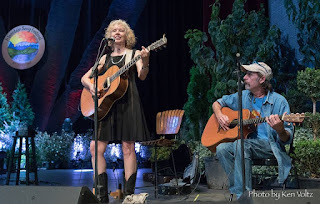 Suzanne and Jerry are playing a sweetheart of a gig this Saturday afternoon at Healthy Harvest Natural Foods in Brevard! Our great pal Stella is having a "Be the Love You Want to See in the World" Gathering at Healthy Harvest from Noon to 4pm on Saturday February 13th. There will be lovely locally prepared food from Wild Indigo Catering...yum! (Gluten-free and Vegan options too!) Everybody's welcome! Come be the love you want to see...and hear some sweet harmonies from Jerry and Suzanne this Saturday!